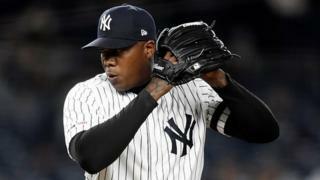 Negotiations over the deal began under President Barack Obama to ease relations with Cuba, which traditionally produces some of the world's best baseball players. Last Friday, the US Treasury sent MLB a letter - seen by the BBC - saying payments to the FCB were now considered "payments to the Cuban government". The BBC understands that MLB has requested a meeting with the US government but has not had a reply so far. In a statement, the FCB said the announcement only defended "political interests, without caring for the welfare and tranquillity of Cubans".